A look at how enterprises can enhance productivity and optimise costs with RPA. Robotic Process Automation (RPA) or the use of software robots to perform mundane or repetitive tasks is gaining credence among enterprises, as they are seeking greater efficiencies and cost savings. Research estimates that the market for RPA was $680 million in 2018 and is projected to grow to $2.4 billion by 2022. The difference between RPA and standard automation tools is that RPA eliminates the need for Application Programming Interfaces or API. Traditional tools require a software professional to draw up a series of actions necessary to automate a task and connect the tool to the backend through APIs. 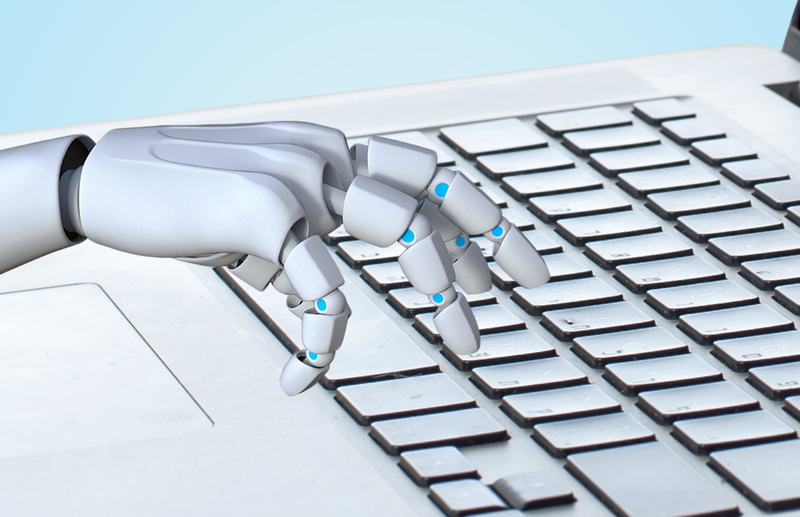 RPA on the other hand mimics the human performing the task and executes it with accuracy. As an approach to automation RPA has been around for many years in the form of screen scraping or data scraping, which involves programming that helps communicate with legacy or obsolete input/output devices. But recent advances in Artificial Intelligence have resulted in the emergence of highly sophisticated RPA tools that are reliable and highly scalable. Consequently enterprises are experimenting by deploying RPA across various functions like HR, administration, accounts, and customer support. Some of the largest adopters of RPA today are in the insurance, utilities, banking, and telecommunications sectors. Research estimates that 60 per cent of companies with over a billion dollars in revenue adopted RPA in 2018. It is estimated that by the end of 2022 85 per cent of large and very large organisations globally would have adopted RPA in some form. Some of the key drivers of RPA adoption would be superior business outcomes, which could include reduced costs, increased efficiency and accuracy in performing mundane or repetitive tasks. Today the cost of adopting RPA tools is on the higher side. Research predicts a 10 to 15 per cent decrease in these over 2019, which would also contribute to widespread deployment. However, RPA may not be a technology meant for organisations of all sizes as in some cases alternative automation solutions might deliver better results. Today there are at least a dozen leading providers of RPA solutions. The other parallel trend is that vendors of ERP suites and core banking platforms, among others, are trying to integrate AI into their products. RPA has the potential to help enterprises reduce labour costs significantly as employees are currently performing the tasks it automates. However, as a Harvard Business Review article points out, enterprises are more likely to reskill their employees to do more knowledge intensive tasks, while RPA will take over tasks that are highly repetitive and error prone when handled by humans. RPA has significant applications across various industry verticals. BFSI is a sector that can benefit significantly from this technology. Major banks around the world like Deutsche Bank and Mitsubishi UFJ Financial Group Inc have deployed RPA in recent times for greater operational efficiency across functions. Compliance is one key area where RPA can help, as banks have to comply with many regulations. It’s a critical area that requires humans to carry out numerous highly rigorous and repetitive tasks. Customer support is another area where RPA can ease the rigour, as banks have to deal with zillions of customer queries ranging from account information, loan related queries to complaints on fraud. Another area that can be sped up by deploying RPA is credit card processing. Today it takes a couple of weeks for banks to collect and verify a customer’s documents, approve and dispatch the credit card. With an RPA tool these tasks could be done in a matter of hours. Fraud detection is yet another function that RPA can perform effectively. With increasing incidents of fraud, it is harder for banks to verify every transaction and detect fraud patterns manually. RPA tools can detect suspicious transactions even when the transaction volumes are high and flag potential cases of fraud. Similarly, RPA has numerous use cases in the manufacturing sector too. For instance, it can be used for automating logistics where companies have to keep track of numerous transporters, destinations, etc. RPA can simplify and accurately perform these tasks. Bill of materials is a critical instrument of production in any manufacturing industry as it lists raw materials, various components and subcomponents. Errors in preparing the bill of materials could hamper production and result in losses. Deploying an RPA tool can bring more efficiency to this task. Reporting and administration is another serious and cumbersome function. Inaccuracies in reports on production could affect decision-making and result in costly errors. An RPA tool would prove handy here. Telecommunication service providers too face a serious challenge, as they have to follow up on a humongous number of customer requests and transaction updates on a daily basis. Embracing RPA tools can make them more efficient and resolve most customer support issues. Covering service fulfilment, network management and billing are some of the areas where telcos can profitably deploy RPA solutions. Before deploying an RPA tool CIOs need to take into account certain issues and ensure they are going in for the right software that can help them effectively deliver their organisation’s business goals. A key concern is whether the software vendor is optimising the tool for the performance and productivity your organisation is looking for. If that’s not happening, the RPA project may not achieve your objectives. Your RPA platform should be scalable, easily manageable and robust. It should be easy to maintain and be flexible enough to accommodate the speed of development within your organisation. There are also governance and security risks associated with deploying RPA solutions. Organisations must consider these and ensure they have a solution that delivers all these functionalities.